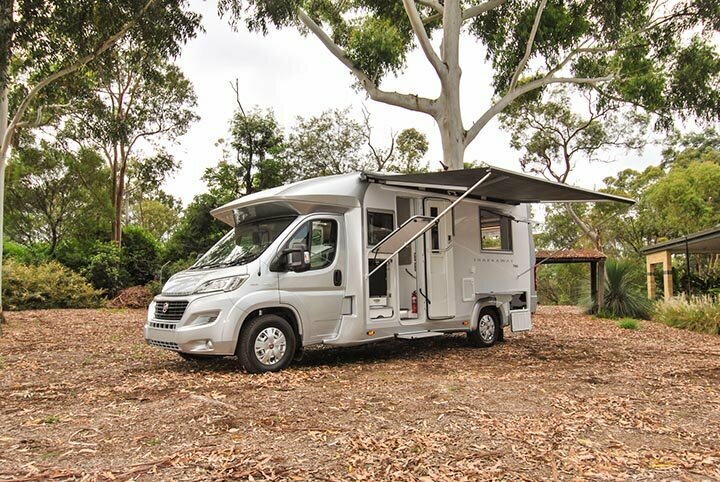 One of Australia’s longest standing motorhome builders has announced it’ll be adding another motorhome to its already impressive line-up. 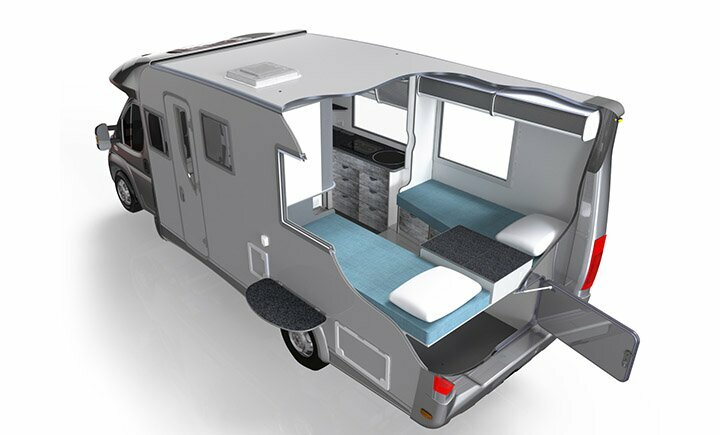 The new Trakkaway 720, sister-vehicle to the popular Trakkaway 700 with rear slide-out, will share most of the same features, but do away with the rear slide in exchange for two single beds. Setting itself apart from the slightly shorter 700, the 720 will feature two single beds with 0.8m width, a centre bedside table with drawer, a passenger side wardrobe with table storage and bench underneath for access to 240V outlets, USBs & 12V socket. There will also be overhead lockers that go along both the beds with the signature roller shutter doors that Trakka uses. And although the large side windows in the bedroom will be the same size as 700, the lack of rear slide-out means the back window’s dimensions have increased significantly. Both beds also have twin drawers underneath with a soft-close function and there’s a table floor mount between the beds so the dining table can be used at the rear of the vehicle, or you can use the single beds as day lounges. The Trakka Trakkaway 700 will soon have a sister. The 720, like the 700, is based on the Fiat Ducato with the more-powerful of the engine options, a 2.3-litre, four cylinder turbo diesel that can produce 130kW and 400Nm. It’s got a six-speed auto. 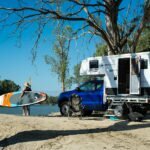 Trakka will be using an AL-KO chassis behind the cab and are expected to fit AL-KO air suspension in the back which gives it the ability to auto level at camp. Both motorohomes in the range can seat four and a luton peak bed is an optional extra, while the Alfresco pack increased the solar power capacity, a compressor fridge/freezer, outdoor fridge and external hot water. Both the 720 and 700 will retail for $180,000. Hi, I’m a leading Sydney commercial vehicle smash repairer. I have been in business for over 35 years. It’s time your readers and general public are told of the EXTENSIVE delays in getting parts for many of the vehicle being converted to Motorhomes. Iveco, Fiat, Renault & Ford Transit keep limited parts in this country and usually only sea freight once the parts are ordered. We currently have a late model Ford Transit in our workshop and have been told there are no headlamps for this 2015 fORD TRANSIT in OZ. Side panels for Transits are a 12-15 week wait and usually arrive damaged. This is the same story with the other makers I mentioned. My advise is only buy German (Sprinter+Crafters) or Japanese..2 days for parts..